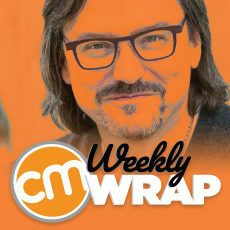 CMI’s latest podcast wraps up every work week with one deep thought, one news take, and one great idea. Get 10 minutes of inspiration and insight from Content Marketing Institute’s Chief Strategy Advisor Robert Rose every Friday, right here, or sign up for CMI’s Weekly Alert to deliver it right to your inbox. 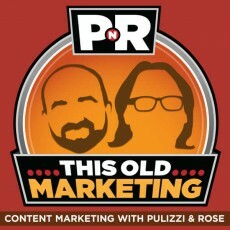 This Old Marketing is the flagship podcast for the Content Marketing Institute. Launched in November 2013 by CMI Founder, Joe Pulizzi and Chief Content Strategist, Robert Rose, this buddy show format is educational, enlightening and entertaining. Every week, Joe and Robert discuss the latest content marketing news, offer up a dose of editorial in their Rants and Raves segment and go back in time to share the This Old Marketing Example of the Week. Passion, vision, drive, and the need to see ideas come to life are all part of the entrepreneurial spirit. Content Inc. is a weekly, short-form podcast designed to teach you one key lesson each episode. Perhaps you have a dream to start your own business. Or maybe the entrepreneur in you is ready to shine within your organization. Let Joe use his personal stories, life lessons and content marketing advice to help you grow your audience.